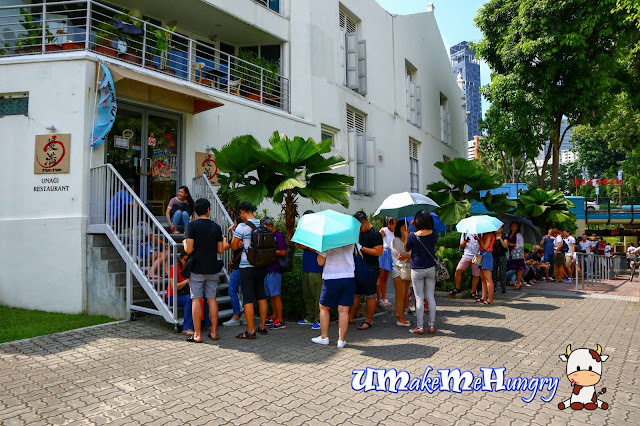 Many thanks to the pals who managed to line up in advance to get the first few seats in Man Man Japanese Unagi Restaurant. 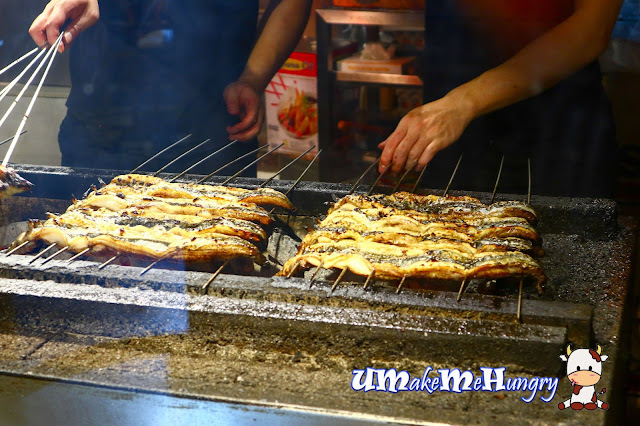 Man Man Japanese Unagi Restaurant has been a talk of the town in the previous months and even till now, there are still die hard fans who don't mind queueing up for their delicious Unagi. To your information these queue can be more than 2 hours long. The queuing process is systematic, at least you wont see guys stomping into the restaurant once the door is opened. Service staff were well trained and will allocate your seats appropriately base on the number of pax. Near the doorway, you get to see large tanks with bubbles surfacing and pipes. 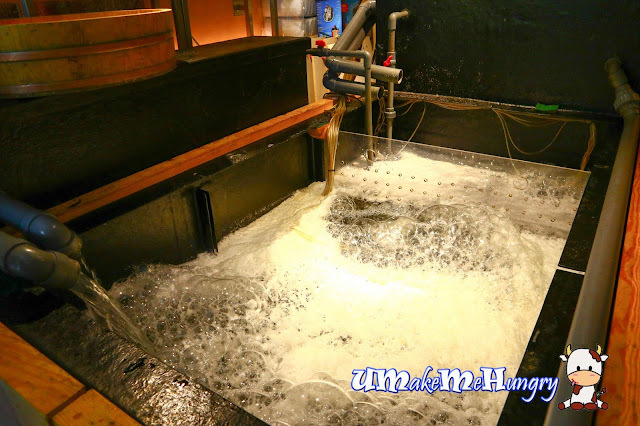 Taking a quick look, I realize that these tanks are actually holding fresh eels that were imported from Mikawa Isshiki region, known for supplying the best freshwater eel in Japan. 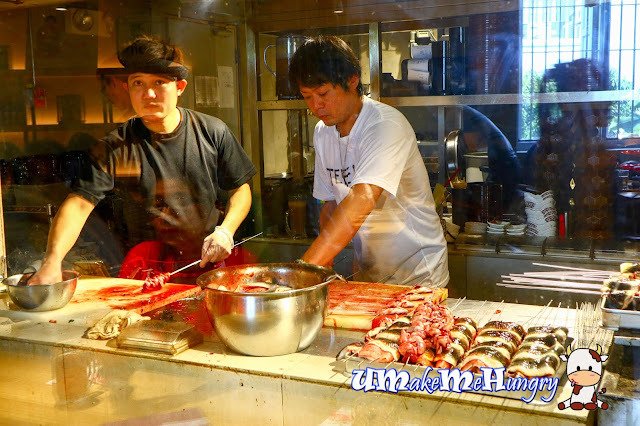 Not for the faint hearted but the prime seats are located at the counter, overlooking the kitchen through a clear glass panel, watching the process where fresh eels were prepared from scratch. It involves dissecting and barbecuing. Its quite a bloody affair and if you are not comfortable, its best not to have these exclusive seats. The restaurant if quite well ventilated and you won't really smell like a waiting BBQ if you are dining in the restaurant. However, strong wave of smell do exist during queuing. Kudos to the staff at work as I felt that it will be very warm in there wearing black and standing in front of the hot BBQ pit. 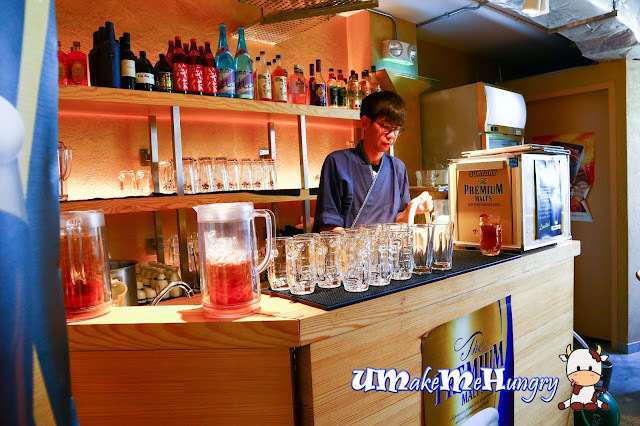 Drinks will be served from the counter right at the back of the restaurant. 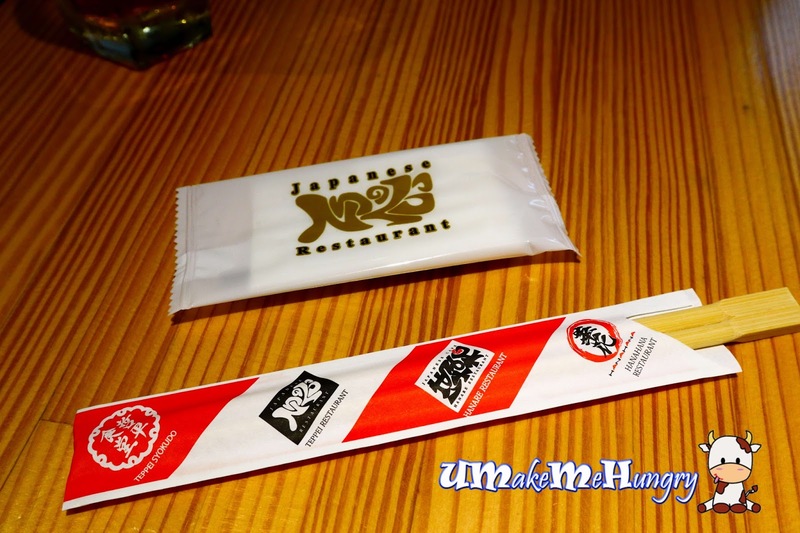 The Umaki was faint yellow in color unlike those we normally have, they were brighter yellow in color. 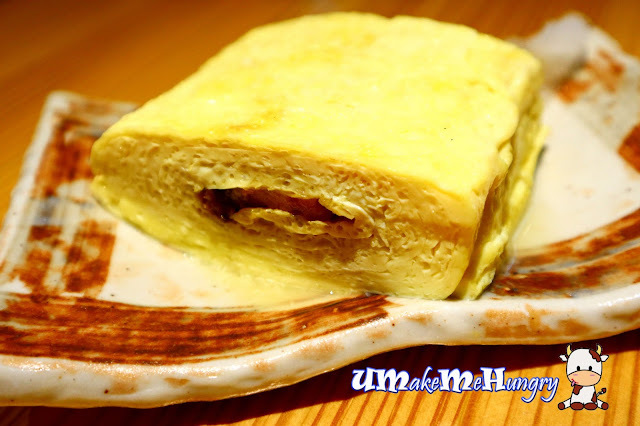 The taste may not be as strong as the usual ones we had however, the piece of unagi that was being sandwiched in the Umaki had complimented the taste. 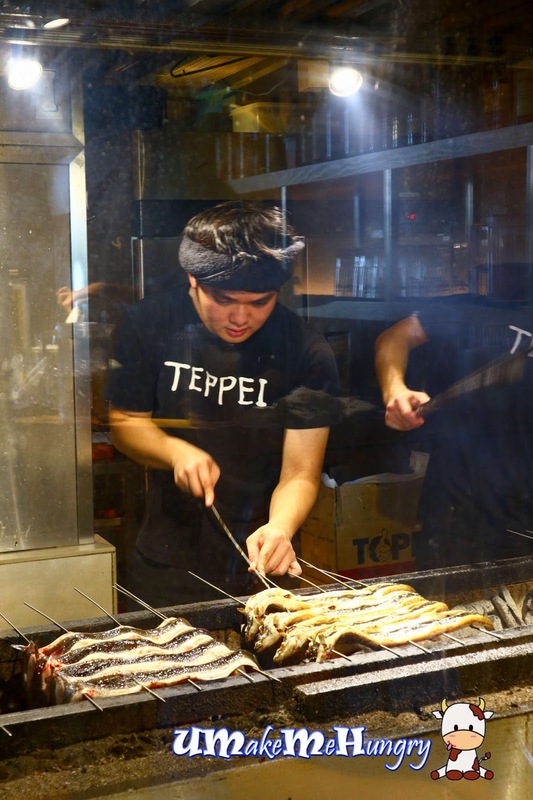 Have you wonder where does the Eel's bones gone to? Not to worry, it will not be wasted as they are also for sale as part of the sides. These bone crackers were crispy fried and crunchy to bite on. However one thing that I dont really enjoy is the used of the oil as it has a strong smell in it. 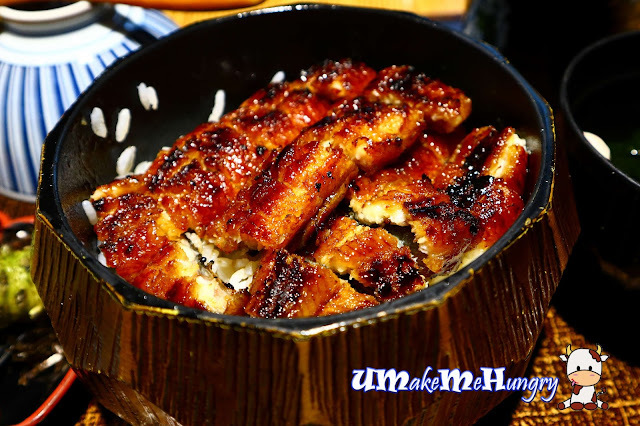 Here comes what we were all waiting for, the Unagi bowl, Hitsumabushi. 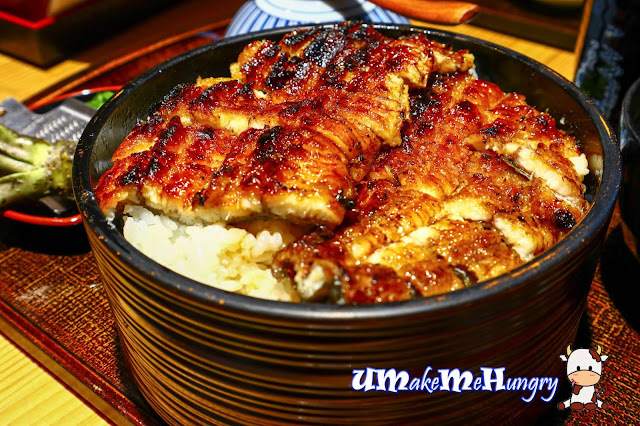 It contains Unagi Don with spices and dashi. The set looks very complete to freshly BBQ Unagi, soup, pickles, broth ans spices. Indeed, its all worth waiting for. Man Man Unagi is best advocated for its deliciously prepared Unangi. 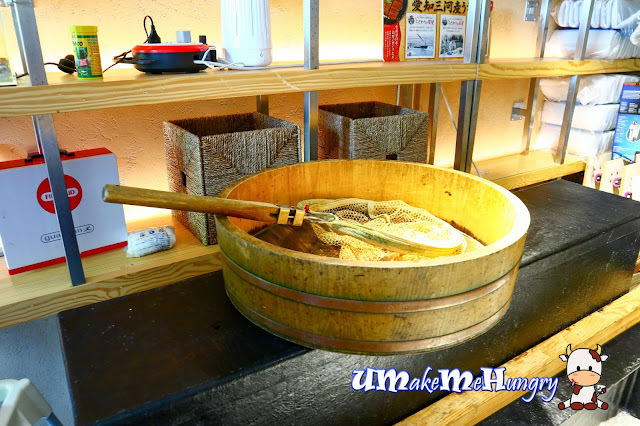 The set can be eaten in 3 different ways, you can emjoy the unagi with seasonings, wasabi, nori seaweed, spring onions or pouring dashi (soup) from the little jug into the bowl and add some rice in it. 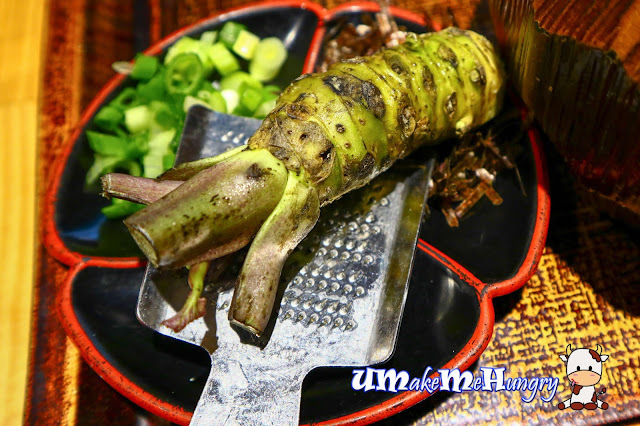 Have you ever wonder where does your wasabi paste come from? To answer your question, let's have a hands on session on grating the plant on your own. 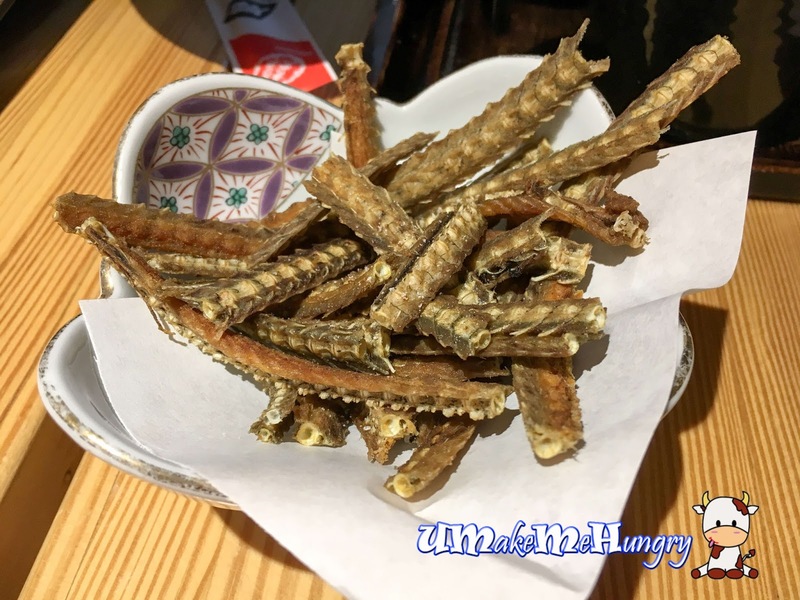 They have provide a small grater and let you have a wonderful hands on experience obtaining your own. 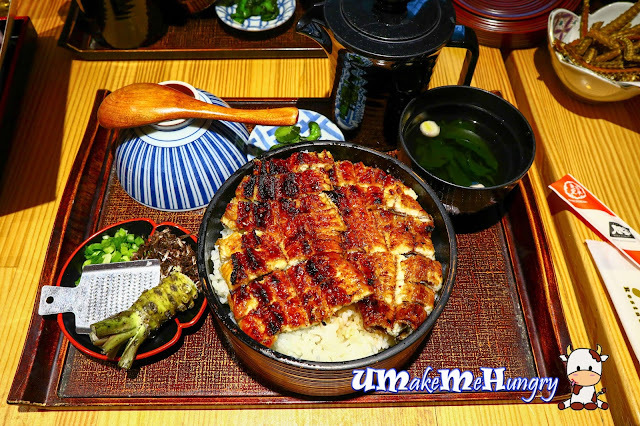 The difference in the usual size and the Large Hitsumabushi is mainly the portion of the rice and Unagi. This large bowl is rather satisfying for someone who had been waiting in the queue. So what's the conclusion of Michelin 2017 restaurant? 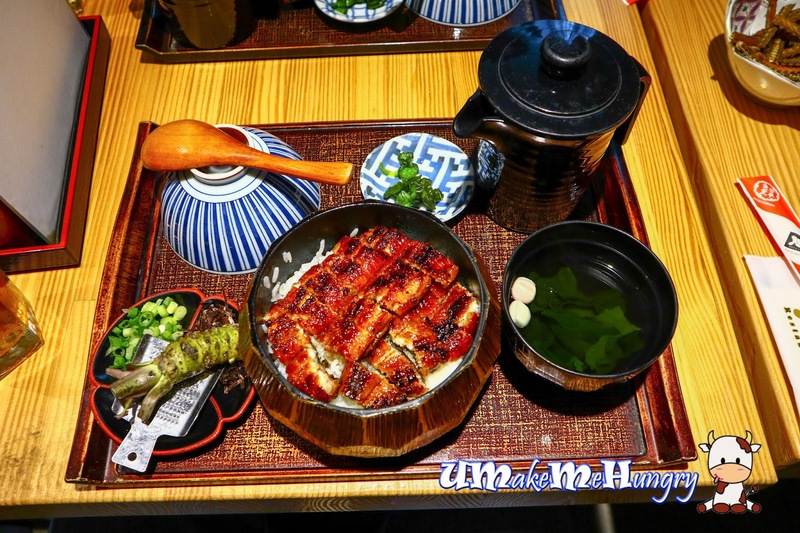 Some was rather disappointed by over rated Michelin restaurants elsewhere but I personally think the Unagi is seriously worth trying. Totally worth the calories and I won't mind coming back again.